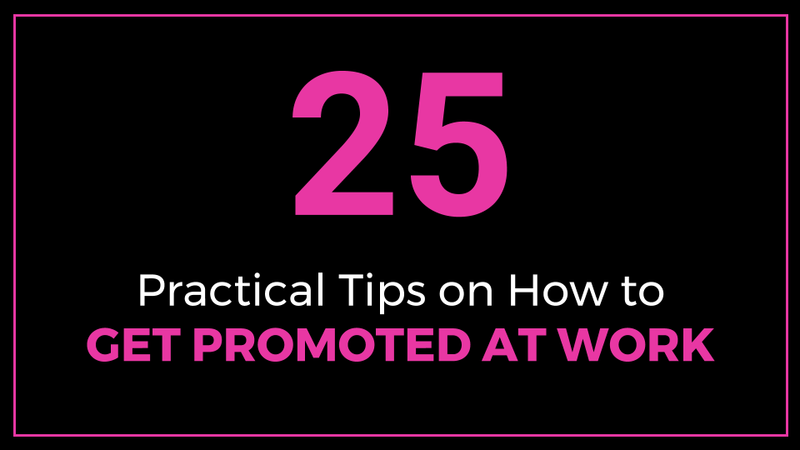 This article explores 25 in-depth tips on how to get promoted at work and also reviews what can short circuit your hopes for a job promotion. Getting a promotion is an exciting milestone in your career. Many people aspire to get promotions at various intervals throughout the course of their careers. Promotions help you to advance in your line of work. The reality is that promotions are not guaranteed and you have to put in effort to get promoted. So what can you do to increase your odds of getting promoted? You can quickly skim all the 25 tips on the table of contents below then click on any tip to read further details. Please enjoy reading. Thank you. What should you do when you are passed over for a promotion? Things that can change after a promotion include a new boss, new or more responsibilities, increase in pay, change in title, new department, new team members and more authority. This is where you grow from one job level to another such as from a manager to a senior manager, from an assistant to a coordinator etc. These events typically occur during the performance appraisal period based on factors such as good performance or increase in job responsibilities. This promotion is aimed at motivating staff, rewarding and recognizing their outstanding performance or moving them progressively up the career ladder. This is where a vacant position arises within the company and it is advertised either publicly, internally or both so that both internal and external candidates can competitively apply. The job can be in your department or another department and even another branch office or region. This kind of vacancy arises when someone who was in the particular position is promoted or when someone leaves the company for any reason such as resignation, retirement etc., or when a new job position is created. Why do you want a promotion? Different people have different reasons for why they want a job promotion. Typical reasons include a desire for career growth, need for more challenges and responsibilities and more money. Each person is ultimately responsible for managing their career growth. After you have written down your career goals, seeking a promotion is an avenue of meeting your career goals faster and growing within your profession. Promotions are sought out by people who are seeking more responsibilities and new challenges in their job. A promotion can help in the quest for a better pay. Sometimes a desirable opportunity opens up within an organization that is too good to pass up. When one has mapped out their career goals and their desired career path, it gives them a sense of what stage they would like to be in their career at any point in time. This roadmap enables the ambitious individuals to work towards opportunities that can help them accomplish their goals quickly. A promotion can be an antidote for when one is bored with their job and they desire change or want to move to a new role or want to do more meaningful work. When someone desires to move to a different department or transfer to another region or country, this desire can be fulfilled through a promotion. Salary bands or ranges for your new position. Historical and current salary of people in similar positions. Your experience, skills and knowledge. Your track record and performance history. Your potential to perform at a higher level. How long you have worked in your current position. How long you have been in the company. When you were last promoted. The number and caliber of candidates competing for the available positions. Your teamwork, cooperation and collaboration skills. Your boss hearing from others about your good work. Other criteria such as problem solving, decision making, integrity, people skills, management and leadership abilities. The company’s financial position and budget available for promotions. Training and professional development that you have done and applied to improve your performance. To increase morale, job satisfaction and work engagement. To retain talent and top performers. To better utilize the skills, knowledge and education of staff at a higher capacity. To fill vacant job positions. To acknowledge and encourage good job performance. To encourage healthy competition within the organization. To encourage employees to do more and acquire more skills to move up. Let your boss know what exactly you do, what your daily job entails. Work with other high performers. Seek constructive feedback to improve yourself and performance. Lend a helping hand to others teach others prop others up. Take pride on doing your job well. Believe in and have confidence in your abilities. Get to know your boss as a person. Ask questions to improve processes and ideas. Create processes, templates and systems that benefit many and make their work easier. Increase your expertise, skills and knowledge. Write articles, blogs, how to videos and manuals. Give public presentations, speeches and host business events. Be well prepared when making presentations. Stay abreast of technological changes and advancements in your line of work. Make each day more exciting, more productive and more successful than the previous day. Join and participate in a professional association. Supporting your boss begins by knowing and understanding your boss’ main goals, priorities and vision. Endeavor to not only develop a good working relationship with your boss but also maintain good relationships with your colleagues. Become a low maintenance employee – work well on your own and have initiative. Report back regularly and keep your boss updated. Make your boss shine in front of the senior bosses. Look for the responsibility that everyone is avoiding and find a way to make it work. Anticipate what your boss needs. Know your boss’s preferred working style. Support your boss by taking good notes during key meetings. Work well with colleagues and other departments. Provide good ideas and insights recommendations suggestions. Actively solicit for and implement feedback from your boss. Let them hear problems and mistakes from you first. Propose corrective action when you make mistakes. Stay abreast of industry news, current affairs and trends. Participate in meetings and help prepare agendas. Maintain a good relationship with your boss’s boss and other bosses. Acknowledge and recognize your boss’s contributions and efforts. Sincerely praise or compliment your boss when he or she accomplishes something great. Bosses need appreciation too. Just ensure that you are not giving insincere flattery. Tell them what you are good at, what your goals are, what you enjoy doing and areas you want to grow. Maintain a good relationship with external stakeholders customers, vendors, suppliers and partners. Have Empathy for your boss. Know that bosses have their own fears, anxieties and insecurities as well. They could also be under tremendous pressure to perform, meet targets and show results. Basic steps in requesting for a job promotion include: timing, planning, preparing, asking and justifying. When to ask for a promotion is a nail biting and sometimes even fearful decision. Your timing is important. If the company is undergoing financial challenges such as staff layoffs, cost-cutting, making losses, losing market share and customers, then it is not a good time to ask for a promotion. If your work performance is not up to par or exceptional, then the timing is not right. Ensure that you have solid accomplishments to back up your promotion request. If the timing is right then schedule a meeting with your boss to discuss the promotion. Assuming that your company is in good financial standing, the ideal time to request for a promotion is at least 3 to 6 months before your annual performance review – to give your boss enough time to propose the promotion raise and have it approved and included in the budget for annual salary adjustments. If you wait until the annual review meeting to ask for a raise it could be too late because by then the raises have already been decided and approved, you might have to wait until the next annual cycle unless your organization accepts mid-year raises. It is better to ask for a promotion a bit early than too late. Planning begins from knowing your career goals and mapping out where you want to be in the future. Find out which job vacancies are available in your company. What specific job do you want? Why? What are the internal application requirements, processes and deadlines? Research market salary data and be prepared to support your salary request with the data based on your experience skills and educational qualifications and job location. Talk to people who have been promoted in the past in your company, learn from them what they did to get promoted, ask them what tips they can share to help you get promoted – you might get a useful tip or two. 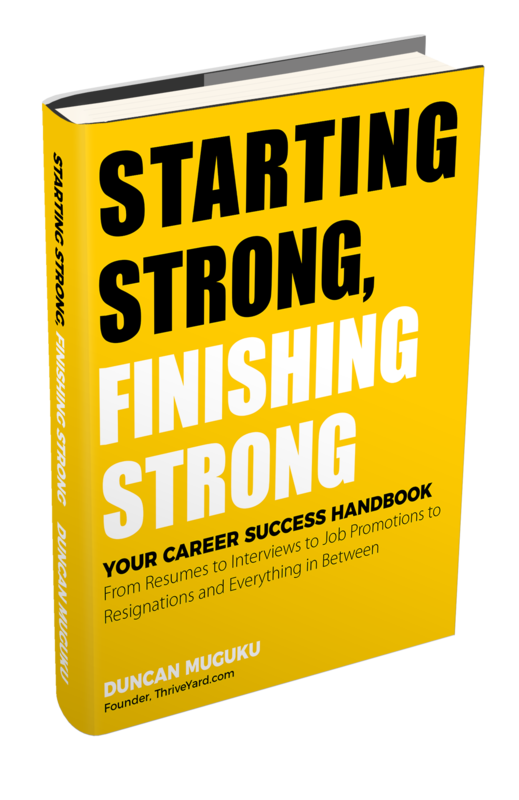 List down your major accomplishments that strengthen your case for a promotion. Show what extra responsibilities you will be doing and how they will benefit the company. Update and polish up your resume. Write a customized cover letter or a promotion justification letter. Sometimes your job might have changed over time. Specify how your job description when you were hired differs from what you are currently doing in other words you could be asking for a promotion for responsibilities that you are already doing. Before proposing a salary look at salary market data, comparable pay scales for the position you seek. Discuss with your boss about your desire for a promotion. Mutually discuss what you can do to advance to the next level. Ask what you need to do to get a promotion, what you need to work on, which skills you need to improve etc. Specifically ask for what you need such as more job responsibilities, a new title and the new salary amount you desire. Explain why you deserve a promotion. Explain what you will achieve in the new position; show how it will benefit the company. When asking for a promotion, don’t be overconfident or entitled. Watch your tone and nonverbal communication. Be respectful, professional and pleasant at all times during the meeting – project confidence, smile and maintain good eye contact. Do not talk about what others are earning or being paid. Focus the case on yourself, do not focus on your personal financial challenges and don’t compare your performance with other staff. Prepare yourself for a yes or no answer. Seek for feedback and guidance if your request is denied. Listen carefully to what your boss says and take notes, ask about what path you can take to get a promotion in the future. Thank your supervisor for taking time to meet you. When asking for a promotion remember to genuinely talk about the good things that you like about your current job and what you like about the company. When applying for a job vacancy in your company, begin by checking all the available job listings within your company. These could be posted on the company’s website, intranet, notice boards, circulated on email or advertised on external job boards. Identify a position that suits or interests you then get into job search mode where you polish up, update and customize your resume and cover letter, then begin preparing for an interview. Take the internal job application and interview process very seriously. Don’t underestimate the competition whether it is internal or external candidates. Do not assume that you are entitled to get the job. Prepare yourself in case of rejection on how to maintain your enthusiasm as you continue working on your current job. Talk to your boss about your interest in the position. Let your boss know they would be your reference. In some organizations you would need to obtain formal approval from your supervisor in order to apply for an internal position. It could be company policy – a requirement to get approval in writing or clearance from your boss. Also consider requesting for a letter of recommendation from your supervisor. It acts as an endorsement of your skills, contribution, potential, work ethic and provides relevant examples of your accomplishments. It gives more strength to your application and clearly demonstrates that your boss approves of your career growth goals and is keen to help you succeed in your career. Outline in your application what have you done in your current position that is relevant to the job you are applying for. Demonstrate your knowledge about the company. Highlight which new ideas you can bring. Show the value that you can bring as an insider and explain that you can settle quickly in your new position based on your insider knowledge. Promoting from within has ripple effect benefits within the organization because employees see potential for growing in their careers in the future and are motivated and encouraged to stay longer and worker harder and smarter. It improves morale. Job promotion interview questions would be more or less like any other interview where you are applying for a job. Job promotion interviews should be taken seriously, don’t be overconfident, don’t expect any special treatment and never assume that you have any advantage simply because you work at the company. You could be competing with external candidates who have thoroughly prepared for the interview and are ready to fight for the opportunity. Similarly, you might not be only one who wants the promotion from within. You could be competing with colleagues. Practice common good interviewee behaviors such as arrive for interviews in good time, be smartly dressed, have strong and firm handshake, maintain eye contact, call interviewers by their names, thoroughly research the company, speak clearly, speak with enthusiasm, asked good and well thought out questions and follow- up the interview with a thank you letter. Interviews are two way streets and the more engaging and enthusiastic a candidate is, the more memorable and likely they are to make a positive impression on the interviewer and possibly lead to a job offer down the road. Present your case confidently during the interview. Show big wins and practical examples of your accomplishments. Demonstrate thorough understanding of the new role. Be prepared for a “no” answer and think ahead of time how you will bounce back to continue doing your old role if you don’t get the promotion. As you re-strategize for the next promotion opportunity. On the other hand if you are offered the position, let your current boss be the first one to know. You will be interviewed by colleagues, be prepared to tell them all your achievements and do not assume that they already know about what you do and your accomplishments. Below are 10 sample job promotion interview questions and guidelines for answering. Ensure that your responses to interview questions are authentic and delivered with the right dose of enthusiasm and positivity. 11.1 Why do you want this promotion? This is where your passion should come bursting out like a raging river. Mention how thrilled you are for the opportunity to interview for the new position. The enthusiasm should show in your voice. Highlight what makes you the best candidate for the position. In other words you are explaining why you want the job. Demonstrate that you have the skills and abilities necessary to succeed in the job. Mention the specific skills that you have learnt and honed in your current position which you are eager to put to even better use at a higher level position. Say that you are looking for more challenges. Highlight that the new position offers an opportunity to stretch your capabilities and learn more. 11.2 Why do you want to leave your current position? Talk about your career progression goals and how the promotion fits within your career goals. Discuss about how you have done great work at your current position and are eager to continue performing better work for the company at a higher or different position. Explain that you aim to leave a trail of success in every position that you hold. You could also say that you are looking forward to working with a new team, new department, new region, new area of focus etc. It is helpful to mention that you have developed strong and positive working relationships with your boss, colleagues, other departments, customers etc. Always strive to leave any position in good terms with all stakeholders. 11.3 What do you like most about your current position? Be gracious and thankful about the job you currently have. Speak positively about your boss and colleagues. Express your gratitude for the opportunity to learn new things. Other positive aspects to point out can include flexible working hours, receiving appreciation for your efforts, a supportive manager and stimulating work. Show pride in the good work you have done for the company. Talk confidently about the challenges you have overcome in your job. Explain how things were when you started your current job and the specific transformations you have done. Mention how you have collaborated with others to achieve progress. Mention the new processes, systems or innovations that you contributed in your current role. 11.4 What is your understanding of the responsibilities for the new job? This question tests your knowledge of the job requirements. Having taken time to thoroughly read and understand the job description and requirements, you can confidently say in your own words what the position is all about. In addition link the key responsibilities with what you have done in the past and show how you can do what is required. Remember to point out your inside knowledge of the company as an advantage that can help you to settle down quickly in your new position. 11.5 What are your major achievements relevant to this role? Give examples of your past or recent accomplishments that directly relate to the new role. Explain what the initial situation or challenge was and what actions you undertook to ensure success. Also you can point out the major problems or decisions you have encountered in your job and what solutions you implemented. Briefly discuss what the impact or outcome was. Quantify your achievements whenever possible. Think ahead about what major contributions and ideas you can bring to the new role. 11.6 Why do you want to continue working for this company? Think of this as an extension to the typical interview question – why do you want to work for this company? Since you have already been working with the company for a while and you are now looking for a promotion, it means you are willing to continue spending more time at the company. Mention the good things that you like about the company such as a good mission and vision, good staff morale, great products or services, good colleagues, good compensation and benefits, good culture and values and it is a fun place to work. Others include opportunities for advancement, training opportunities, strong leadership, financially stable organization, well respected in the industry and enables you to put your talents to good use. 11.7 What are your greatest strengths? State your key strengths and how they relate to or would support the new position. A quick way to identify your strengths is to describe yourself in three words that best reflect who you are most of the time such as: organized, creative, quick-learner, determined, efficient and productive. Others include reliable, team-player, collaborative, proactive, hard-working, dedicated, detail-oriented, knowledgeable, productive, problem-solver, innovative, dependable, results-driven etc. Next step is to think of a succinct story, achievement or example that strongly backs-up each of your top three one-word descriptions. 11.8 What are your major weaknesses? Everyone has weaknesses. Do not say you do not have any weaknesses. Be genuine in your response. Mention a specific weakness or two that is a challenge to you in accomplishing your tasks or impedes you from working at peak performance. What have you learnt from your weaknesses? What active steps have you taken to mitigate your weaknesses? You can also state something that you are working to improve on such your presentation or public speaking skills are not where you would like them to be and you are actively working on improving your skills in this area through training courses, coaching, reading, practicing etc. 11.9 How would you describe your management style? Here the interviewer would like to know what kind of a manager you are. 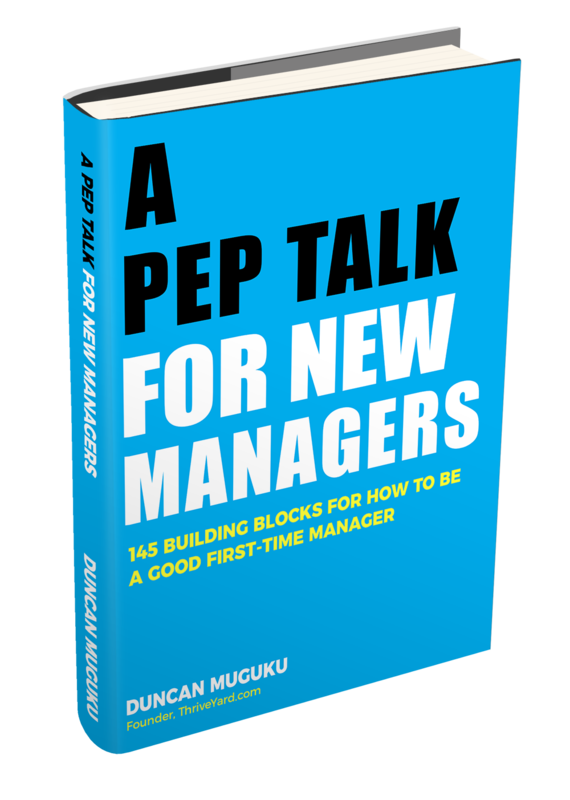 Explain your management style and point out how it enables you to achieve success then highlight a specific example that shows how your managerial style in practice. How do you set expectations for yourself and others? How do you hold others accountable? How do you plan and prioritize tasks and projects? How do you guide others? How do you encourage and motivate staff? How do you handle crisis or change? Do you delegate work to others? Are you hands on or hands off? Do you micromanage others or give others autonomy? How often do you consult team members? Are you open to new ideas? How often do you check-in with others? How well do you listen to others? How accessible are you? What is your preferred mode of communication? Do you prefer face-to-face meetings, emails, telephone etc. How do you show empathy and compassion for others while maintaining mutual respect and focus on common goals? 11.10 Tell me about yourself? It might be tempting to assume that you will not be asked this question since you are already working in the company. In addition, it might be tempting to assume that your colleagues who are interviewing you might know everything about you needed to position you as an excellent candidate. Do not assume anything especially when you are competing against external candidates who will use this question to sell themselves effectively. Instead welcome the question as an opportunity to position yourself as the best candidate. Give a brief summary about yourself, your past experiences, your qualifications, and your key skills. Wrap it up by saying what you are excited about in the new role and at a high level mention what you can bring to the position. Your pitch should point at why you are a great fit for the position and how your education and experience have prepared you to be able to perform well in this role. Various companies have different cycles on when someone can get promoted. How soon can someone be promoted after joining the company? Are promotions based on the number of years in the company? How often can you be promoted? What are the major requirements for someone to be promoted? What is the company’s promotion policy? Find out the policy in your organization regarding how soon someone can be promoted after being hired – is it immediately, after 3 months, six months, one year or two years? Do promotions occur at a specific time during the year or do they occur at any time? Companies have different policies on this, some companies might allow for promotions to happen whenever they are justified while others might require a more standardized timeline such as either in the middle of the year or at the end of the year. You can be promoted after a performance evaluation where it is determined that your job performance warrants advancement in job level, more responsibilities and an increase in salary. You could also be promoted after doing a significant project or accomplishing ask or milestone in your job. Additionally, the more junior an employee is, the more the chances to go up a few levels whereas the more senior the employee is the lesser the chances or opportunities for moving up. Promotions stack up like a pyramid where the positions available become progressively less as you move up the pyramid. A promotion justification builds or strengthens the case on why you should be promoted. Identify your current job title and the proposed job title. Main reason for the promotion. List your major achievements to date. Show examples of your accomplishments such as what type of problems you have solved. Relate your achievements to how they would benefit the new role. What skills and expertise have you acquired that you will bring to the new role? Demonstrate your enthusiasm for the company and for the new position. Show your appreciation for your current job and what you have learnt from it. What ideas and areas of improvements you wish to implement. Revised or updated job description. Identify or highlight the new roles and responsibilities. Proposed date when new roles are expected to officially begin. Have initiative – do more than is required. Take extra responsibilities and projects. Networking within and outside your department. Maintain a good attitude and be easy to get along with. Be fun to work with. Participate in public speaking. Represent your company in events, workshops and conferences. Write blogs, articles and publications. Build strong relationships and alliances in your department, in other departments, with vendors, suppliers, customers etc. Perform at a level higher than your current job to demonstrate that you have ability and real potential to move up the ladder. Pure luck – simply being at the right place at the right time such as a boss suddenly resigning, a new opportunity opening up, a new merger, company expansion etc. Look for a job in a small growing organization with higher chances of growing in your career. Watch and learn how those who have been promoted do their jobs. Is there anything you can learn from their working style, behaviors and attitude? What can cause you to not get promoted? Below are 60 things not to do when you want a promotion. Asking for a promotion too early. Negativity and a bad attitude. Not following company rules, policies and procedures. Complacency, not showing ambition to move ahead. Wasting time e.g. endless chatting with colleagues or on the phone, browsing the web, cyber shopping during working hours etc. Gossiping, backbiting others and spreading rumors. Anger, uncontrolled temper and yelling at others. Bringing personal problems to work. Tardiness to work, to meetings and from breaks. Unwillingness to go the extra mile. Coasting or doing the bare minimum. Poor body language such as eye rolling, no eye contact and distracted listening habits. Insubordination, undermining and resisting authority. Not updating your skills and knowledge. Using abusive language or insults. Neglecting your duties while chasing a promotion. Unresponsiveness or lateness in responding to email, voice mail and other messages. Wrong timing when asking for a promotion. Procrastination – waiting until the very end to work on projects before the deadlines thus stressing team members, submitting rushed work with errors and little time to proofread or polish up. Wanting a promotion for the wrong reasons. Doing personal work during working hours. You may be best suited for a promotion and have done all the right things however, some external forces might be working against you to short-circuit your promotion prospects. Unfortunately, some bosses play favorites and the promotions do not always go to the most deserving person. You could be deserving of a promotion but the company is facing financial challenges and is not in a position to offer any promotions. You might be the most qualified internal candidate but the company, hiring manager or boss have a bias towards external candidates. Perhaps the boss feels insecure about your success or potential. Even worse would be the case of a boss who prefers “yes men” and you might be perceived as someone who challenges the status quo. Even though you have impeccable credentials and track record for a promotion, the competition could be so intense for the promotion. There are very few opportunities available for promotion or there is no position available or open. The economy might be in decline and the company could be laying-off staff, have hiring and promotion freezes or waiting it out until the economic situation improves. Identify unmet needs and roles in your company and gradually start doing additional tasks on your own initiative. Over time the additional tasks that you are doing could have enough significant impact on the company or department to warrant a promotion. An indirect way of promoting yourself is requesting for a title change. Even if a title change might not have immediate cash benefits associated with it, it could position you for an upward career move in the future. A title change officially recognizes the breadth of the responsibilities that you are working on. Participating in job rotation programs is an opportunity to add variety to your job, learn new skills and interact with different people. Sometimes a long-term career move could entail taking a lower role to position you for future career growth. Perhaps you have not mastered all the inner workings of the organization or all the nitty-gritty roles needed to be successful at a higher level, taking a lower position would expose you to the details needed to help you grow in the future and also afford you an opportunity to widen your network at different levels within the company. Perhaps a transfer to a new department, office, city, state, country or region would be sufficient enough. You could negotiate for non-cash benefits instead such as work from home day, flexible work schedules, professional development training, merit award, allocated parking, gym membership etc. Going back to school either on a part-time or full-time basis is one way to invest in your career growth. Learning new skills and beefing up on educational qualifications could position you for future promotions. Even though some people have been able to use this strategy to their advantage, I must caution you that this is a very risky move that can backfire on you. It could cause deep resentment hurt future references be ready to take the counter offer job if your strategy does not work out. Also some companies might have a policy against counter offers so do your homework accordingly. Presenting a counteroffer indirectly sends the message that you had been looking for another job and possibly are not happy with your current job. Even if your counter offer is matched there might be lingering doubts about your loyalty. Hopefully the company will be mature enough not to find your replacement. Counter offers can be viewed as arm twisting the employer but the employee could see it as advocating for their true worth and value. Upon undertaking an honest and inward looking self-analysis, you will naturally notice the moment when you start reaching the top of your career ladder within a particular company. You will have given your very best efforts over time and achieved great results, success and even promotions along the way but beyond a certain point you will notice stagnation starting to slowly creep in. This is when your job slowly comes to a dead-end and becomes about self-preservation. Stagnation will start to slowly but surely negate or undo the good work that you had done. You don’t want to stagnate to the point where you are pushed out. Either re-invent yourself or proactively leave on your own time and terms. Care enough to trust that another person can inject in new ideas or take your ideas and contributions to a whole new level. When you leave at the top of your game, you will not leave regretting that you should have stayed and done more, instead you will leave knowing that you gave your best and your track record can only be the combination code to unlock new and better opportunities for you elsewhere. Interestingly enough, there are some people who leave their jobs and come back later to the company at much higher level positions thus boosting their career growth. It is debatable whether they would have risen so quickly if they had stuck in their old jobs; either way looking for a better job elsewhere is an avenue for promoting yourself. Sometimes when a promotion is not possible, the next best option is getting a pay raise. The first step in getting a raise is to ask for it. Ensure that you prepare a strong justification for the pay raise request. What are your key accomplishments in your role? How have your accomplishments benefited the company? What new skills and qualifications have you learnt? How have you applied them on the job? What are the results of your efforts? Show how you have exceeded your annual performance goals. Simply meeting your performance goals might not be strong enough justification. State how much money you need, by when and what major goals and roles you are working on in the current year. Write this justification in a clear confident way, then schedule a meeting with your boss and discuss your pay raise request. The possible outcomes include: you might get exactly the amount that you requested, you might get more, you might get less than you requested or you might get nothing. If you get something even if not the whole amount you had requested, remember to thank your boss. If your request is rejected, learn why it was rejected and discuss with your boss what you need to do to get a raise in the future. You could request for a pay raise at least 3 to 6 months before your annual performance appraisal. This gives your boss enough time to propose the raise and have it approved and included in the budget for annual salary adjustments. If you wait until the annual review meeting to ask for a raise it could be too late because by then the raises have already been decided upon, budgeted and approved. You might have to wait until the next annual cycle unless your organization accepts mid-year raises. You could request for a pay raise during one-on-one check in meetings as a key agenda item or schedule a meeting with your boss to specifically discuss your desire for a raise. After you have completed a major project that has added value or money to the company. Requesting for annual merit increments or cost-of-living adjustments. When you have been given major extra responsibilities. Always keep your boss updated on a regular basis such as sending bi-weekly or monthly one page reports on your major accomplishments. This proactive investment is aimed at warming up or triggering your boss to give you the raise on their own initiative after they see your results rather than you going to them to ask for a raise. At a minimum it also makes the conversation easier when you actually ask for a raise because your boss would have seen a steady track record of your achievements. Do good outstanding work on team projects and customer initiatives. The positive feedback from others might get back to your boss and be substantial enough to trigger a pay raise. Be active in your industry and professional associations. You might win industry awards or get newspaper mentions that spotlight your company in a favorable way. Focus on training others. Share your skills and knowledge across the company and help others to grow and be promoted. You never know, those you help today might be in a position to lend a helping hand someday. Seriously participate in group meetings, have thoughtful insights, keep moving the agenda forward, give your all to make meetings a success. You have reached the topmost range of your salary band. You asked for too much money. Your justification for a raise is not strong enough. Only the standard annual increment is allowed or the cost-of-living adjustment (COLA). The company cannot afford to pay raises at this time. You have been in the position for a short period. You recently received a raised. You mutually agree on a future timeline when it might be possible to get the raise. You could get a one-time bonus instead. External pressures such as if the economy is in turmoil. How can you tell that you are about to be promoted? Sometimes it might be obvious that you are about to get a promotion and sometimes it might not be obvious. Your input, opinions, suggestions and recommendations are sought and people listen carefully to what you are saying and even act on your recommendations. You are exposed to and introduced to senior leaders. They become aware of your work and your contributions to the company. You are requested to represent the company in key events, conferences and presentations. You are constantly asked to train others and your colleagues look up to you and count on you for your expertise. Your boss will be leaving or is getting promoted. Most companies usually have a predetermined range or upper limit for how much salary increase someone can get during a promotion. The limits could be based on many factors such as job level or grade, predetermined salary bands, tenure, qualifications, performance appraisal scores, budgets, company promotion policies etc. You can mention how much salary would be ideal for you when you are applying or requesting for a promotion and at least make it known what your desire is. You can respectfully negotiate a bit after you have been offered the promotion officially. If the answer you get is that there is no room for any more increase then at least you gave it a shot. It is worth noting also that some companies could have predetermined salary increases when one gets promoted and you can only get what is within the approved range and nothing more. Turning down a promotion is not an easy thing to do. Not many people are fortunate enough to be in the position where they are debating whether to say no to an offer to progress upwards in their career. The promotion can derail your long term career goals; it does not align with your projected or desired career path. Your skills fall short. You do not feel confident about succeeding in the new role. Perhaps if you take on the new position it might blow up on you leaving you in an unfavorable or adverse situation. Not the right time to take on new responsibilities or you could have other personal plans such as going back to school, family commitments or intending to change jobs soon. It might require too much time or effort to get up to speed and perform well in the new position. It also might be difficult to quickly learn the skills or expertise needed to succeed in the position. Many people have come and left that position within a very short period of time. The position might have a revolving door history that you want to avoid – how sure are you that you won’t be the next casualty or victim? Sometimes you simply like your job and are not willing or interested in taking on a promotion. A promotion might require long hours in the office sometimes including weekends, it might require you to always be connected on your phone and email, and it might entail too many meetings or too much travel. When a promotion is unexpected, take time to think carefully about it before making a decision. Fully understand the requirements of the job and the performance standards. Is this a position that excites you? Is this a good opportunity? Are you able to do the work comfortably? Were you planning on making any career changes? Does the promotion fit in with your career goals? After evaluating the offer, trust your instincts then make your decision. You have now been promoted, what next? Below are a few next steps after being promoted. One of the first things that typically happen after a promotion is the traditional announcement of the good news. Depending on the company, either a Human Resources or Talent representative or your new or previous supervisor might make the promotion announcement. You might be requested for a 1-2 paragraph blurb to highlight your key accomplishments in your current role which could be used in the companywide or departmental announcement of your promotion together with highlights about what your new role entails. If your role is external facing, key customers, clients and partners may be updated as well on your promotion. When colleagues stop by to congratulate you, ensure that you genuinely thank them. Likewise take time to thank those who congratulate you via email. Representatives from Human Resources, Administration, Finance and IT may need to adjust your details accordingly such as updating the organizational chart and departmental chart, updating your new position on the company website, updating email lists and internal telephone directory book, granting you additional IT access depending on your job upgrade, updating new pay structure in financial systems, setting up your new work station, ordering new business cards etc. How does your job support the department and the overall organization? How does your job support your boss and you colleague? What are the major roles that you are expected to do? How will your performance be measured? Finish up all pending tasks in your old role or write-up a detailed list of pending work. Include helpful information such as where resources are located, key point people to collaborate with, contact details of key people, detailed notes on work processes etc. If you are moving to a different job in the company, handover over your old tasks to a colleague or a replacement if one has already been identified. Take time to train them and answer any questions to ensure a smooth transition. You might be requested to help in interviewing candidates for your old job based on your first-hand knowledge and likelihood that you could interview and identify a successor who is likely to excel in the position. You could be put on probation typically for 90 days with specific milestones to achieve within that timeframe. Develop a plan for the key tasks you intend to accomplish with the first 30, 60 and days. Identify how these goals will be measured. Identify your priorities and your boss’s priorities. Prepare a priority list and start working on your new role. These are tasks such as updating your voicemail, email signature and out of office message. Others include updating your professional social media profile and resume. After being promoted, you want to ensure that you continue performing at a high level and providing value and results for the company. Here are 28 ways on how to be successful after a job promotion. Getting a promotion is a great achievement. Take some time to celebrate this milestone. Do something fun and exciting that makes you happy. One of the first things to do fresh off your promotion is to schedule a meeting with your boss. Find out your boss’s expectations and figure out how you will meet and even exceed those expectations. Assess the learning curve required. How soon can you get up and running? How long will it take you to be fully comfortable in your new role? Develop your goals and endeavor to get up and running as soon as you possibly can. Identify whether you have any gaps in skills and knowledge. Prepare a mitigation plan to overcome the gaps such refresher training, new skills training, reading or learning from others. What are the bottlenecks in your new role? Begin crafting solutions in your mind. Prioritize tasks. Solve problems. Seek early wins. Don’t try to change everything at once. Lay out your expectations. 24.6 Don’t be a victim of your own success. Be willing to learn continuously, be open-minded. Don’t be complacent. What might have worked for you in your previous role might not work in the new position. 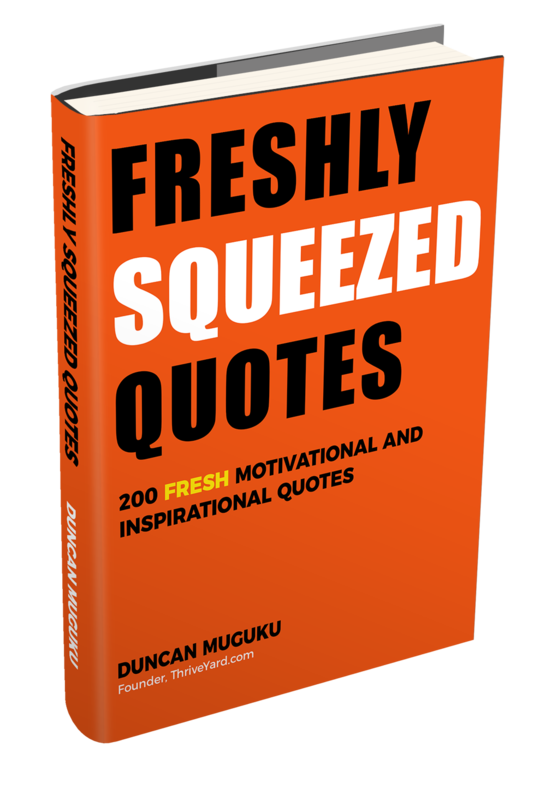 What made you succeed yesterday might not necessary make you succeed today. Make your work easier and more efficient by developing systems and processes to help you succeed in your new role. Delegate where possible. Get comfortable in making decisions. Overcome fear and anxiety when choosing among alternatives, focus your energy on how you can make good choices and perform well. Stay updated on internal company news, strategic plans, long term and short term company goals, financial performance, new developments, growth projects, restructuring, departmental goals, external challenges facing the company such as legal, economic, regulatory, competitive, environmental, any forthcoming mergers or acquisitions etc. Require little to no supervision. Have lots of initiative. Pay attention to details and do thorough work. Participate and contribute in meetings, on social media, write articles, blogs, advice, opinions, commentary, question and answer forums, join professional associations, attend workshops, conferences and events. Take the lead on projects, major tasks, events, meetings, presentations, strategic planning etc. Take care of yourself. Take breaks during the day. Take vacation at appropriate intervals to ensure you are well rested, refreshed and operating at your prime output. Exceed your performance goals and targets. Maintain high standards, build credibility, develop a strong track record and believe in yourself and in your abilities. Network within your department, outside your department and outside your company. Manage anger, fear, temper, regret, disappointment, disapproval, resentment etc. Respect other people’s opinions. Rein in your ego and swallow your pride. Dress sharply and professionally represent yourself and your organization well. Be pleasant. Smile. Be conscious of the words that you use and also the tone of your voice. Become known as a friendly and helpful person in the work place. Sincerely compliment, appreciate and thank others when they do a good job. Since we all face low moments and negativity in our life from time to time, it is vital to proactively feed your mind with inspiring, positive and uplifting materials to help you be energized, enthusiastic and upbeat. Also develop a support network, a group of people who care and encourage you. By helping your boss to succeed, you will also in turn succeed. Know what your boss’s priorities are and accommodate them. Understand how your boss’s performance is measured and help in any way you can. Make your boss’s life easy. Identify a way to track your progress and accomplishments. When you set goals, also establish milestones and deadlines for accomplishing the goals. Measure your progress by looking at what have you completed, when you completed it, whether you did it the way you had expected to or in a different way, whether you met your plans or you fell short or exceeded your target and identifying areas where you need to improve on. Take time to talk to and understand what your colleagues do. If you have staff you are supervising take endeavor to know them and learn their roles. If you are now working with a new boss proactively work on getting to know them as a person – What are their likes and dislikes? What are their interests outside work? What is their working style? What are their aspirations? Etc. When in doubt it is always a safe bet to consult your boss. Seek his or her advice, wisdom, input or clarification to help you succeed in the task you are doing. Watch business news, read magazines and articles to see what is happening in your industry. Are there any patterns and trends emerging? What are your company’s competitors doing? How is your company positioned to compete in the future? Are there any regulatory changes that might impact your company? What ideas can you suggest to help position your company as a strong player? Get along well with others and constantly build bridges. Have tender compassion, empathy, kindness, encourage others, help others see their strengths and qualities, don’t step on other people’s toes, watch your choice of words and share the credit. Have a willingness to roll up your sleeves and do what it takes to help the company succeed. Don’t look out for your interests only think of others as well. In today’s rapidly advancing technological environment, various skills can get obsolete quickly. It is smart to keep refreshing and learning skills on a regular basis to improve your marketability and earning potential. One simple way to improve career skills is by regularly reading career blogs to learn tips and tricks on how to succeed at work. Another way to be aware of the competitive skills needed to stay ahead in your career field is to occasionally look at job listings or advertisements for the current job that you are doing and also for the jobs that you aspire to do in the future. Check out what requirements, skills, and qualifications employers are seeking versus the skills you currently possess. Undertake professional development to address any gaps that you might have. Ensure that both you and your boss are on the same page. Make it a habit to regularly update your boss on what you are working on. Write down your career goals and start planning for your new promotion in advance. What is the next step in your career goals? What will it take to achieve the next step? Keep your future plans in mind as you go about your day to day activities. 25. What should you do when you are passed over for a promotion? The last thing you should do when passed up for a promotion is to make threats that you are going to leave. If you threaten to leave you had better be ready to do so otherwise you could cause a lot of damage for yourself. It is never a good feeling to be passed over for a promotion. Especially if it is a promotion that you had really worked hard for, you had done all the right things and yet someone else was promoted over you. It hurts when this happens. There could be a good reason or none. The most important thing is how your respond after being passed over. Allow yourself some time to grieve privately over the loss. Process it mentally and emotionally then get ready to bounce back. After you are clearheaded and have cooled off, start by discussing with your boss on why you were passed up. Be careful with the words you choose as well as your tone of voice and nonverbal expressions especially facial expressions. Frame your questions from the perspective of someone who wants to learn and grow. Ask questions such as – What could I have done better to get the promotion? What do I need to do going forward to improve my chances of getting a promotion? Learn from the feedback that you receive and use it to guide your next steps. In addition, look internally as well. Be honest with yourself and do a self-analysis to identify if you really did all that was needed to get promoted. Were you really ready for the promotion? Are there areas you need to improve on before you become eligible to move to the next level? Also let it be known that you are still interested in getting promoted down the road and you will continue performing your role with dedication and professionalism. How you deal with rejection can improve the way your boss and others view you. It makes them respect you more when you deal with disappointment in a professional way. Don’t be jealous or envious when others are promoted. Go a step further and sincerely congratulate the person who was promoted. It is likewise important to note that when you are constantly passed up for promotions or there are limited career advancement prospects, when your job promotion dream evolves into a promotion mirage, when there is no promotion in sight to quench your career advancement thirst and goals then it is time to graciously jump ship and look for other opportunities elsewhere. Want to get a promotion? Here’s how! This detailed article walks you through tips on how to get promoted at work. Topics addressed include types of job promotion, how to ask for a promotion, ways to move ahead at work and position yourself for a promotion, promotion justifications, tactful self-promotion and how to ask for a pay raise & salary increase.